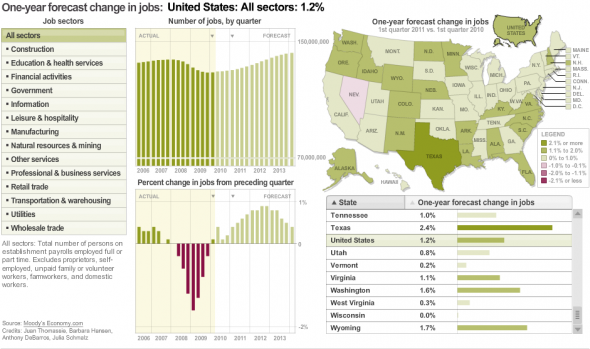 This graphic shows actual job growth through first-quarter 2010 and Moody’s Economy.com’s forecasted job growth for second-quarter 2010 through first-quarter 2014. It covers every state, the District of Columbia and 384 metro areas, broken down by fourteen industry sectors. The data are seasonally adjusted.